DIY decorating: Need amazing baby shower ideas? 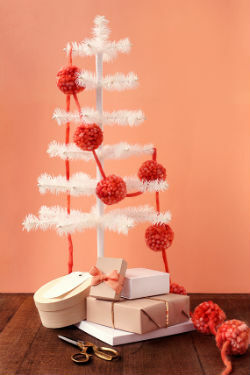 See the best party designs from around the web, plus a few of our, easy DIY ideas. Make your own flower garland to match your theme. 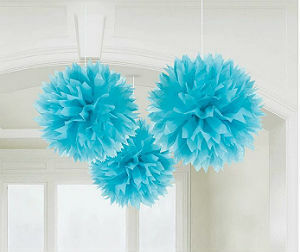 Garland can be hung from lights, ceilings, mantles, tables, and more. How to make it: Purchase fabric Gerber Daisy’s from a craft store. If you have a local dollar store, buy your flowers there. Separate your flower heads from their stems. With a heavy gauge needle and heavy thread such as, bead string, or fishing line- string the flowers together by running your needle and string through the back of each one. 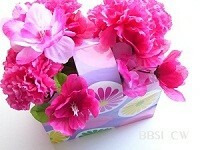 You can space the flowers close together, or leave a space of 1-2 inches, between each one. 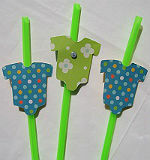 After you have completed your string of flowers, tie each end off and hang garland in your favorite spot. You can use paper cut-outs, pine cones, fabric leaves, beads, plastic snow flakes or any other creative idea you can think of. 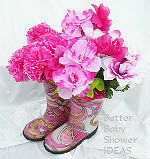 Fill vases or jars with water and place inside rain boots, add fresh flowers, or greenery. TIP: Silk flower are pretty, and easy to manage when you’re crunched for time. Clear plastic, or glass baby bottles are the ideal flower vases at any baby shower. 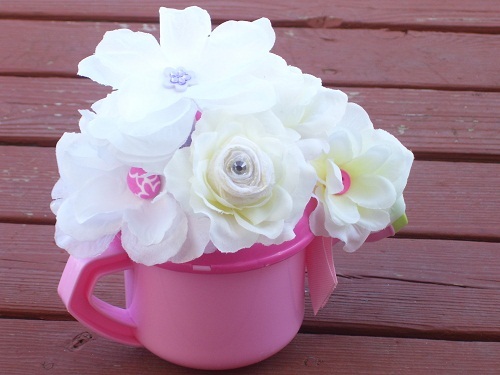 It’s a lovely decoration AND it’s so easy! You can see an example here. Make these easy napkin rings for your party. Use approx. 5 inches of ribbon (1” wide). Use hot glue to adhere ribbon ends together. DIY Decorating with clip art: Download cute baby shower graphics, or other web graphics to your PC. From the images, create banners, place cards, and table decorations. attach with clear tape, or attach with paper loop and slip over straw. 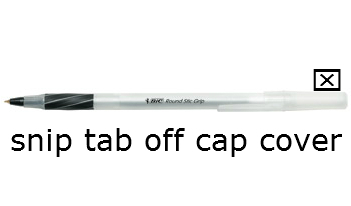 For Ink Pens: BIC Round Stic with removable caps, work great! Use the tip of a scissors to clip the tiny round tab attached to the top of the pen cap. unsightly tape to look at. Pencil Instructions: attach flower heads with with craft glue and mini-tack nails, directly to the top of the eraser end of the pencil. This DIY decorating idea is adorable for a baby shower, and its a great piece for mom to take home and hang in the new nursery. The onesies are cut from fabric, and infused with a wax-paper backing. 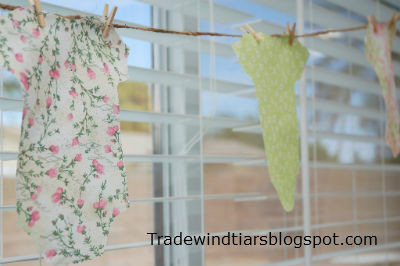 Go to: tradewindtiaarblogspot.com to see the full tutorial. 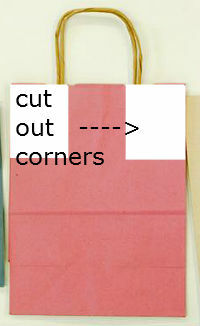 After the corners (along with any strings or handles) have been cut off, simply tape the top edges together.